Finally, I've hit my stride with aprons! After sewing different types of aprons for the last year now, I've arrived at two styles I enjoy making. It feels good to have an apron or two in the arsenal. 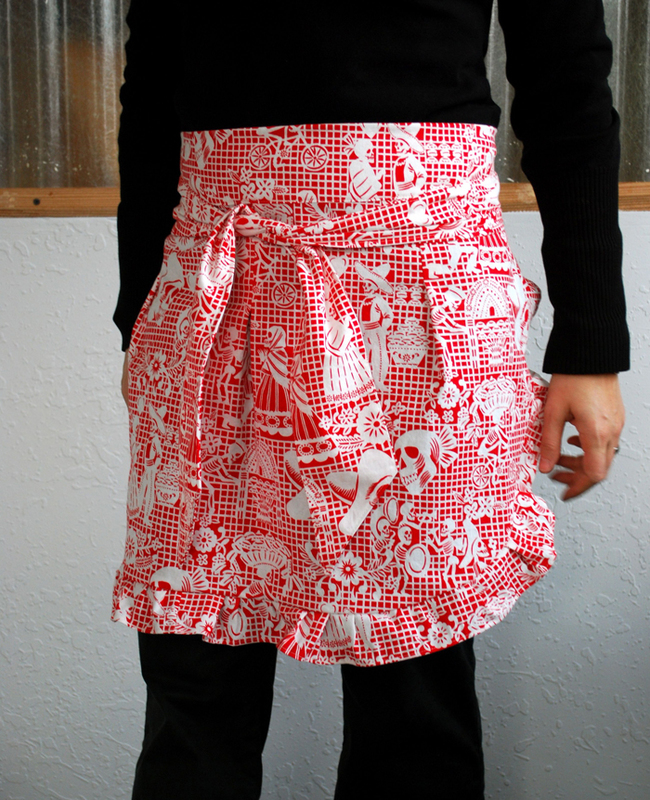 This sweet little "apron" is very easy to make. I call it the Cocktail Apron because it's short and asymmetrical and feels more like an accessory than an apron. Nevertheless, I still think it's super cute, and it makes a wonderful hostess gift. The pattern is from this Japanese sewing book, My Style My Apron. 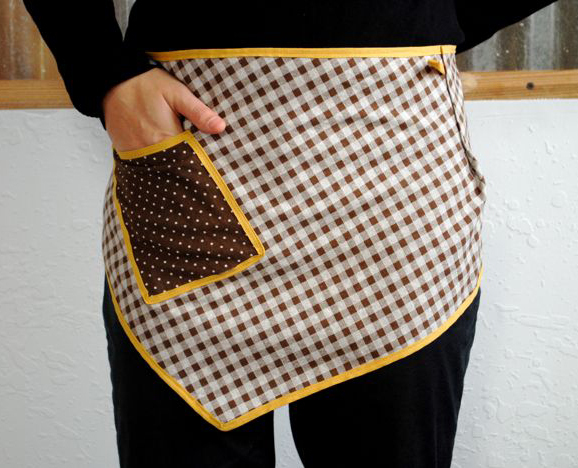 The book is fabulous and provides many ideas for this single apron. The fabric is a cotton/linen blend with a reversible gingham dot pattern. It comes in some fabulous colors, and last time I checked it was on sale at Supperbuzzy. The aprons in the photos, poorly modeled by yours truly, were made and donated for a fundraising event at D's school. It was hard to say goodbye, but I'll be making some for myself sometime soon.